In this post we are going to demonstrate auditing mechanism for Hibernate persistent entities on example Spring boot + Hibernate Envers project. Auditing will be shown for data in relational databases - example configurations prepared for H2 and PostgreSQL database engines. 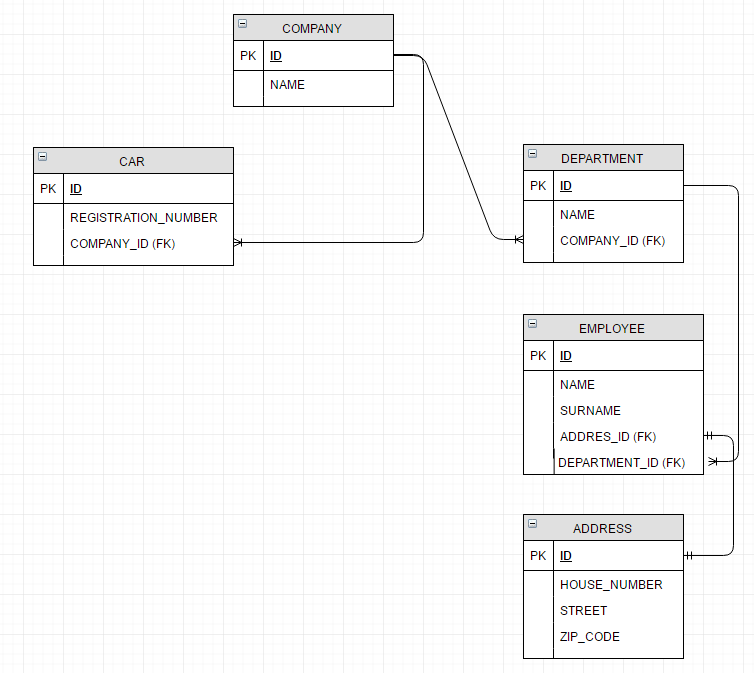 Below diagram shows relationships between data tables. Our main object type is Company that we will want to audit together with relationships except Car entity. Notice that we won’t modify logic of business code, we won’t change any service responsible for running database operations itself. Some other useful properties to be set you can find in EnversSettings. Since Company contains relationship to Cars, we have to exclude it with @NotAudited annotation. In our example we want to store additional information like – username, so we will need to extend DefaultRevisionEntity. The second step that needs to be performed is to implement listener - AuditRevisionListener - to populate additional field to RevisionEntitity. 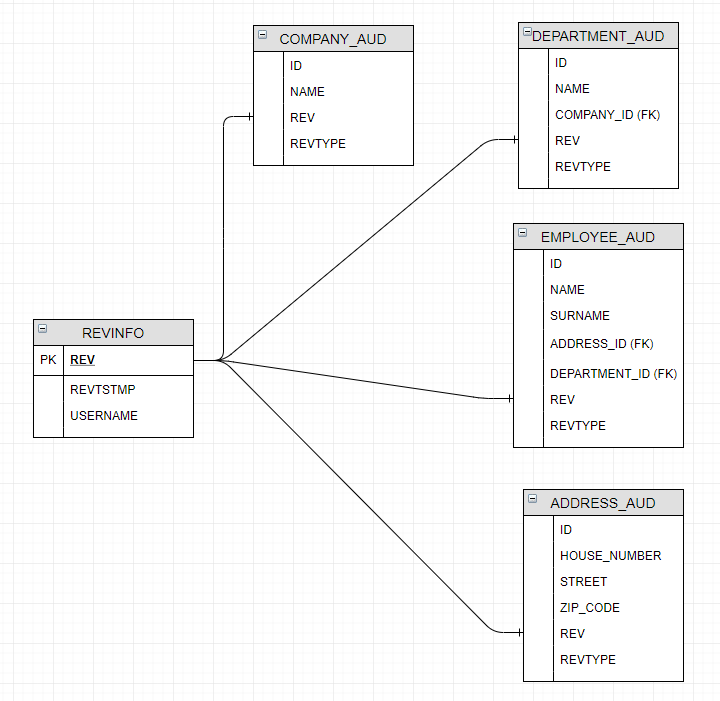 For all entities annotated with @Audited, we have to create respective database table. By default, Hibernate Envers uses following pattern for audit tables – _AUD, but it’s configurable to change "_AUD" suffix (by using @AuditTable or setting org.hibernate.envers.audit_table_suffix property). Hibernate Envers provides very easy and powerful mechanism for tracking business data. Introducing Envers to your project doesn’t need any business code modifications and refactoring – you can define behavior just with annotations. The source code for above listings can be found in the GitHub project company-structure-hibernate-history.